CASE: 14 year old girl’s symptoms of difficulty breathing and tiredness were downplayed and ignored for several months by her pediatrician. Eventually she was diagnosed with Hodgkins lymphoma at a vary late stage. Despite her being a Jehovah Witness and unable to receive blood transfusions and platelets, she survived much longer than anyone predicted. Her case was resolved before she got too sick and was able to enjoy her last year of life by going on a family vacation and swimming with dolphins. 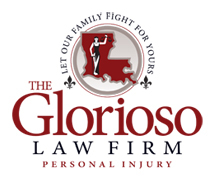 The Glorioso Law Firm was able to fight for her and get her case resolved so that her quality of life was increased prior to her death. A death that could have been prevented had her pediatrician timely ordered a simple x-ray or done one blood test.